Global IT Factory’s managing director, Mr Zdravko Loncar, has been appointed by the HD-ECG lead consortium, and approved by the EUD, as the “Key Expert 2” for the implementation phase of the project – Technical Assistance to Design a Serbian Tax Administration Human Resources Management System. The Key Expert 2 provides technical leadership and has a crucial role in implementing the contract. Congratulations Zdravko !! 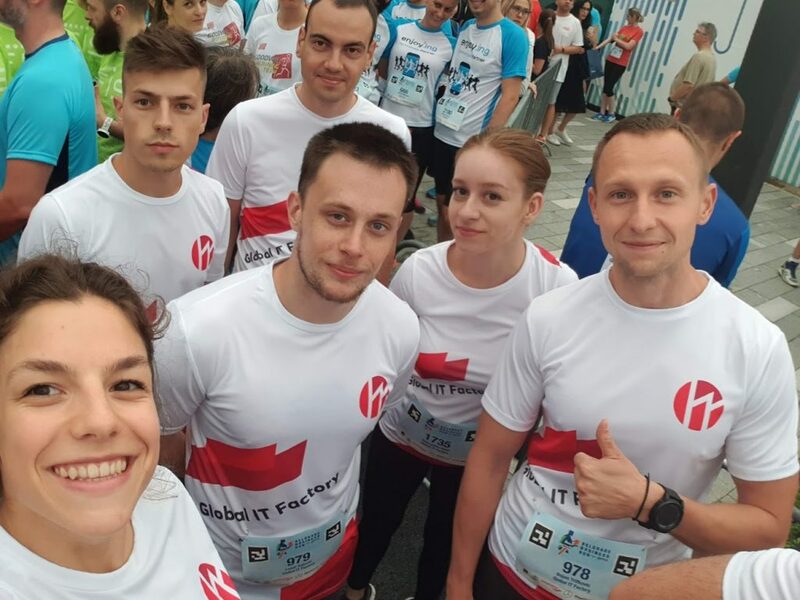 Our team participated at the Belgrade Business Run, a 5 km team race organised by the Belgrade Running Club at the River Sava Promenade in Belgrade. Great team event! Investfit, disruptive, FinTech innovator and Global IT Factory have partnered to ensure that Investfit Cloud platform remains at the forefront of technical innovation. Our exceptionally talented, Belgrade based, team members Nataša, Lana and Uroš, have received awards for the outstanding work delivering innovative IT Solutions to our customers. Global IT Factory is a proud sponsor of the Tesla Expo in Sydney. Boris Rozenblat and Gary Foster, Global IT Factory co-founders, had the opportunity to share their experiences with IT Outsourcing to Serbia at a recent ASOP (Australian Serbian Organisation of Professionals) networking event. Global IT Factory is proud to have become a founding member of the Australian Serbian Commerce Chamber, founded in Melbourne in November 2016. Global IT Factory has been approved by the Victorian Government for inclusion on the eServices Register. Global IT Factory is proud to announce that we have achieved ISO 9001:2015 certification. Global IT Factory is assisting Rail Safety Systems (Australia) to realise its vision as a lead provider of safety critical rail infrastructure to the Australian market place. Global IT Factory has successfully implemented IOS and Android mobile apps for Moneysoft Ltd. Global IT Factory has become a Silver Partner in the Oracle PartnerNetwork (OPN) Specialised program. Global IT Factory has been engaged by Bayshann, provider of SaaS solutions and IT services in the higher education and research domain, to provide mobile application development consulting services. iOS and Android instances of the application have been successfully completed and provide an exceptional user experience. Global IT Factory has signed an IT support and maintenance agreement with Surf Life Saving Australia.